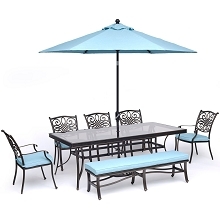 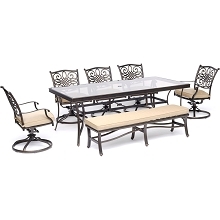 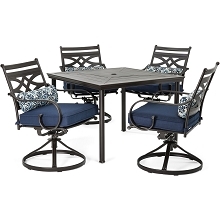 The Traditions 3-piece bistro set transforms any backyard into an intimate dining area fit for two. 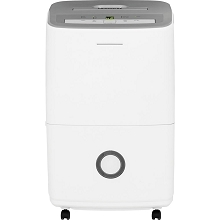 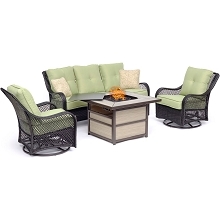 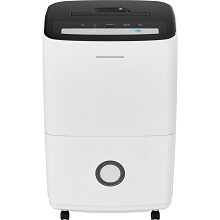 This set includes two cushioned swivel chairs and one 30 in. 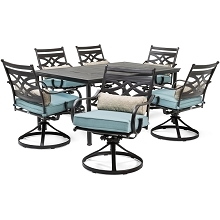 round table. 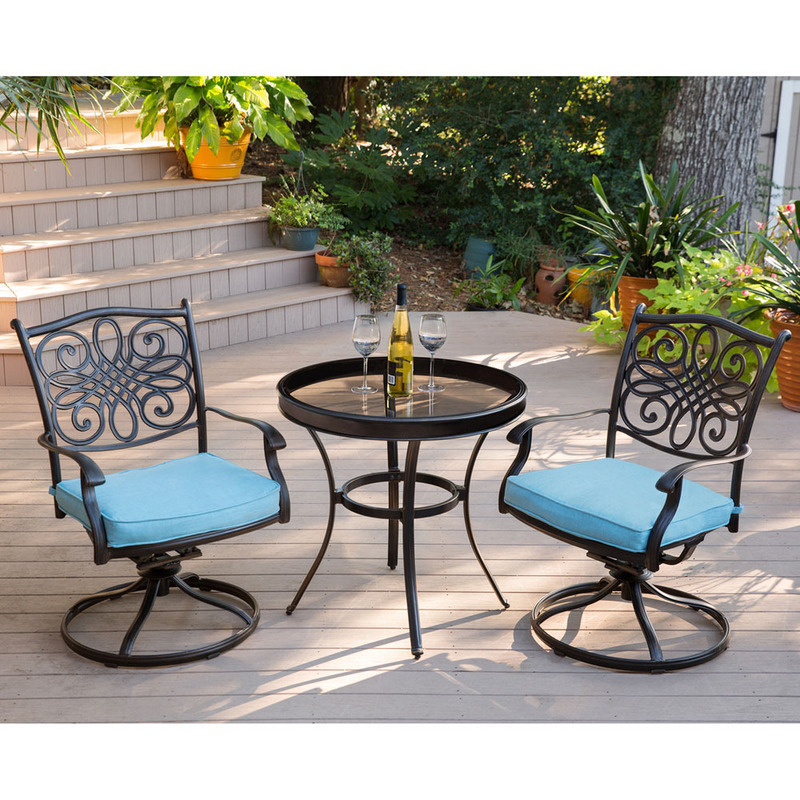 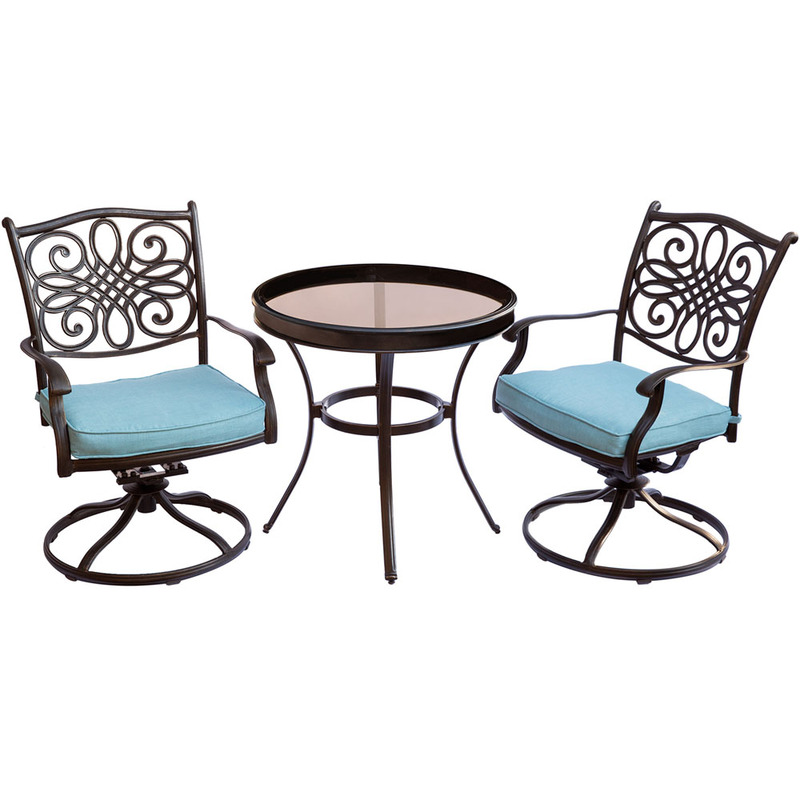 Both chairs and table feature cast-aluminum frames with a protective bronze finish. 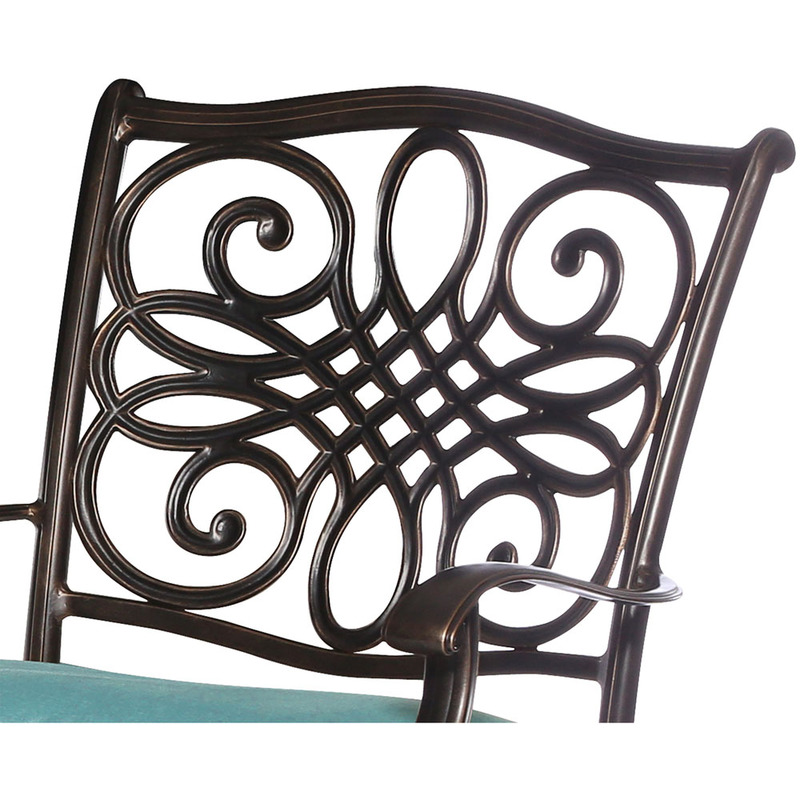 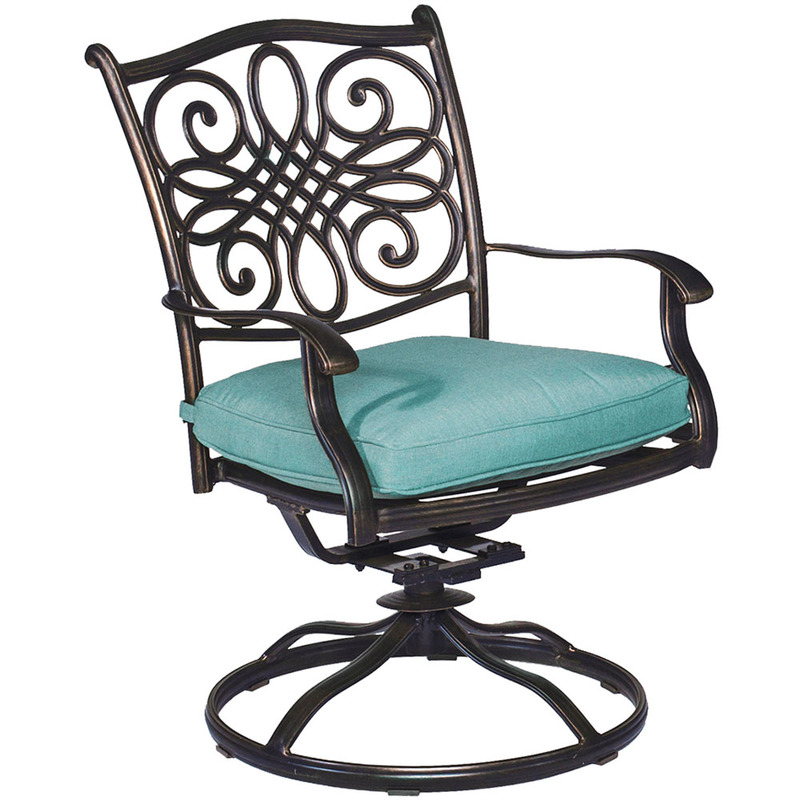 Swirls of cast accents decorate the back of each chair and adds an elegant touch used throughout the collection. 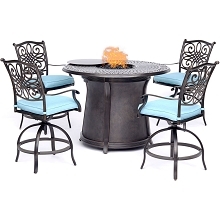 Each chair performs a 360-degree spin and gentle rocking motion as you dine in comfort and style. 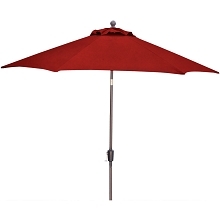 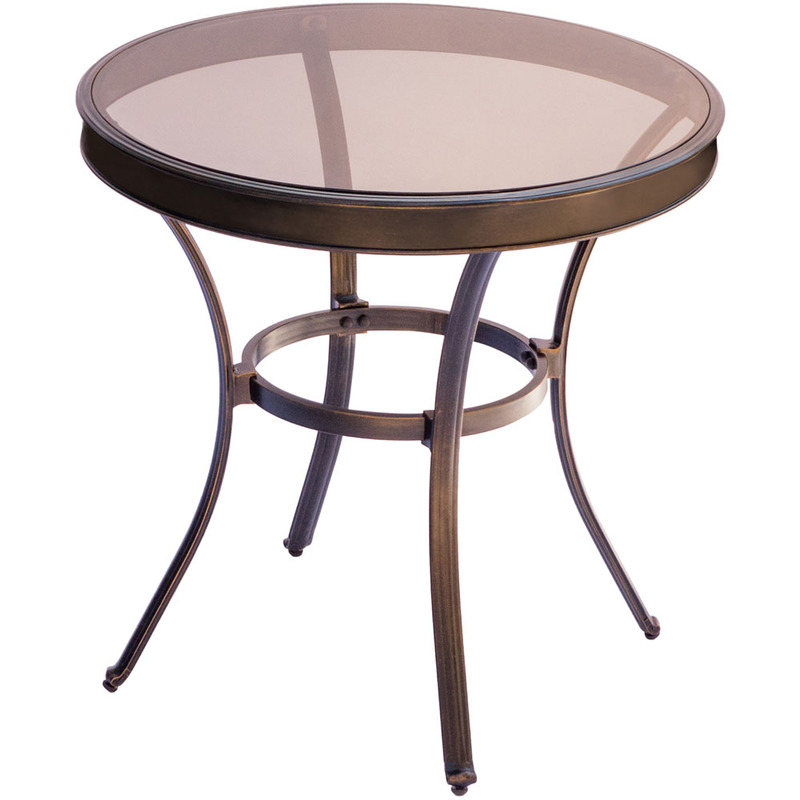 The round bistro table features a tempered glass top that is strong, durable, and easy to clean. 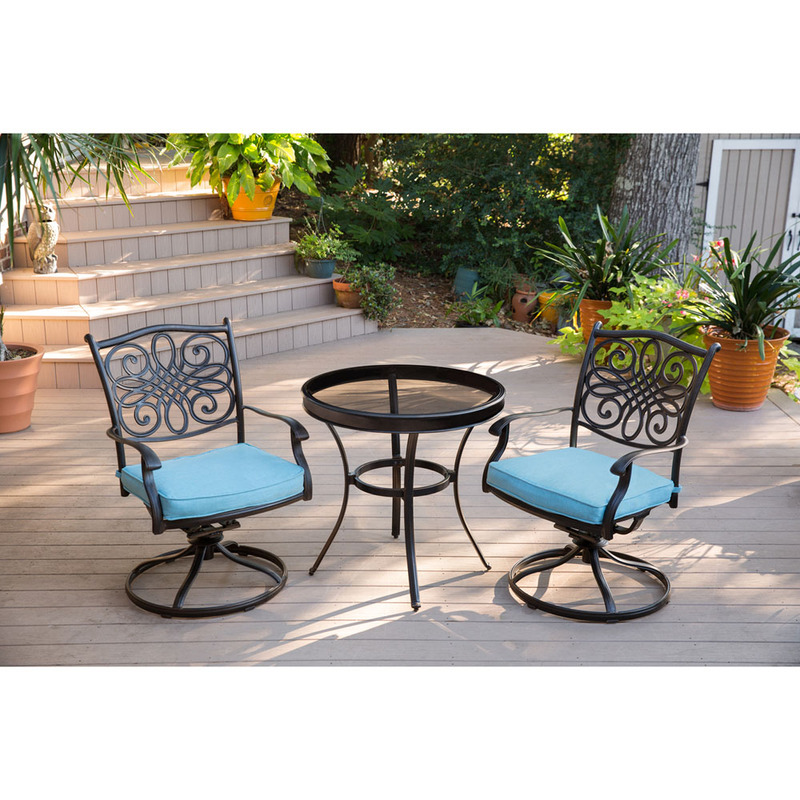 The plush seat cushions are constructed with premium outdoor fabric wrapped around polyurethane foam, ensuring deep comfort while maintaining their original full shape. 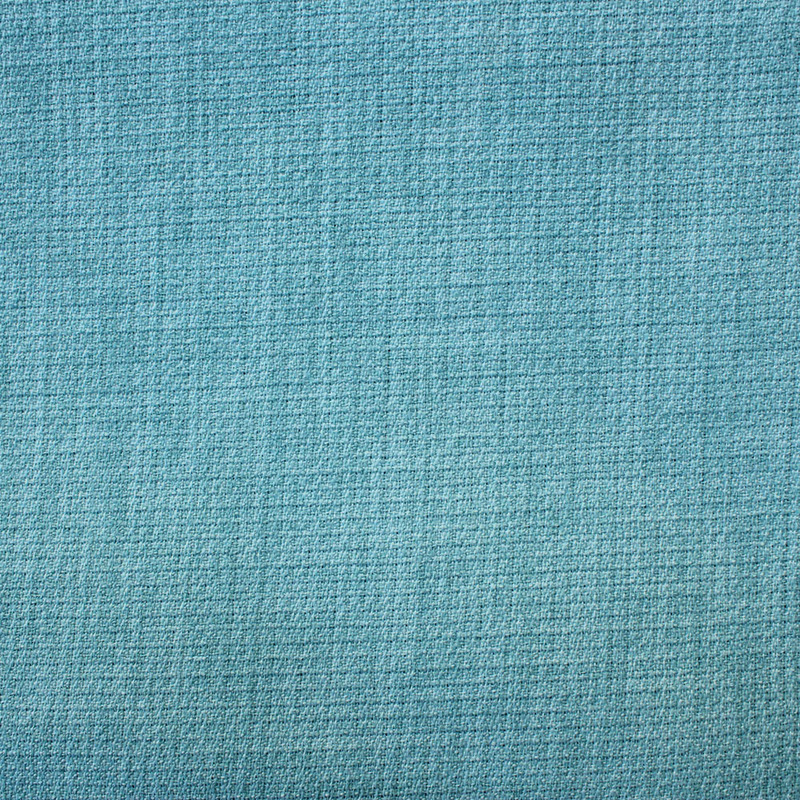 The blue fabric is quick to dry while resisting accidental stains and UV harm. 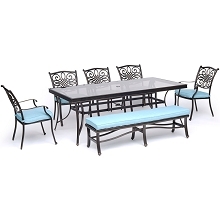 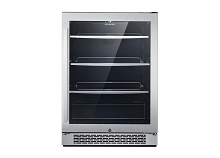 Perfect for smaller patios and environments where space may be limited, you can rely on Hanover to provide the most stylish bistro dining under the sun.